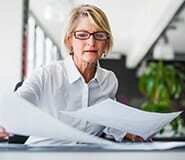 Is Your Retirement Planning a Little Lopsided? Achieving the financial independence to be able to retire early is a major accomplishment. Yet, it’s only half the battle. The other half is thoughtfully planning how you’ll invest your time and optimize the gift of the years ahead. After all, that’s why you worked so hard to achieve financial independence. You’ll soon discover that retiring early is about so much more than just not working. In our Bronze program, the Retirement Success Profile™* online assessment tool will give you a ‘heat map’ of the non-financial areas you have a good handle on and the specific areas that need a laser focus to clarify your dreams and realize your non-financial goals. Are You Facing an Early Pivot? Studies show that while most people have a target date for their retirement, a significant percentage of people transition years before they expected to, for a variety of reasons beyond their control. Sudden shifts, such as organizational changes, ownsizings/ buy-outs or health issues, can create the need for a transition before people are fully prepared. In our Silver program, you’ll work with one of our certified coaches, using a structured three-phase process, to help you clarify your priorities and goals, design your transition plan and help you gain traction in your next chapter. How Ready Are You As Your Big day Approaches? Retiring is one of the biggest transitions in life. And while many people are prepared for the shift financially, far fewer are well-prepared for how different their life is about to become. For example, many new retirees are excited about their newfound (and hard-earned) freedom, yet are surprised to learn how many things work provided them beyond a paycheck. Our jobs can give us purpose, structure, status, social relationships and a clear sense of identity. Some of these non-financial benefits will need to be replaced in different ways in retirement. In our Bronze program, you’ll begin with the Retirement Success Profile™* to gauge your readiness for the transition and pinpoint the non-financial areas that require attention. You will begin your journey with a better-informed picture of where you have gaps - and insights on how to begin to close them. When you think of how much work it took you to get to this point, isn’t worth taking some time to ensure that you’re ready for one of your biggest shifts in life? Are We Aligned on the Most Important Things? Planning ahead gives you a leg up on being aligned in retirement. Yet, many couples spend more time planning their vacation than they do for this key phase of life. This phase of life brings great opportunity, big decisions and challenges – and it’s essential to talk them though in advance. One of our retirement coaches can help you think through the right approach to your retirement journey together, illuminate where you’re in lockstep, identify areas that need discussion and which are most important to you both.